A binge-drinking thug who attacked a reveller outside a takeaway 24 hours after he had started boozing has narrowly been spared from being put behind bars. Nottingham Crown Court heard on March 14 how Kieran Hosie, 23, of Holbrook Street, Heanor, attacked Kayne Martin, on Derby Road, Ripley. 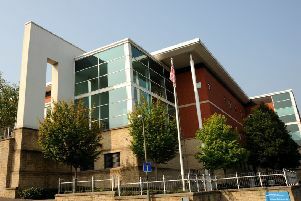 Prosecuting solicitor Neil Hollett told a previous Chesterfield magistrates’ court hearing that Kayne Martin was out in Ripley town centre drinking with his brother and they left the Association Bar about 4am and went to a kebab shop. Mr Hollett added that Mr Martin’s brother got involved in an altercation with some males but Mr Martin separated them but when he went outside he was attacked by Hosie. The defendant approached Kayne Martin, according to Mr Hollett, and accused him of previously hitting him before he grabbed Mr Martin and repeatedly punched and kicked him as he fell to the ground. Mr Kayne suffered a fractured right wrist, bruising, swelling and cuts. Hosie told police he had been drinking since 4pm and he admitted he had drunk too much and he described the incident as a blur. He added that he binge-drinks and he suffers with mental health issues and anxiety. Hosie, who claimed he had been punched, was so shocked when he viewed CCTV footage of the attack he said he felt sick and disgusted and he did not want to watch the footage for a second time. The defendant pleaded guilty to assault occasioning actual bodily harm after the attack on October 13, 2018. Hosie was sentenced to 16 months of custody suspended for two years with 150 hours of unpaid work. He was also ordered to complete an Alcohol Treatment Requirement and a Rehabilitation Activity Requirement.